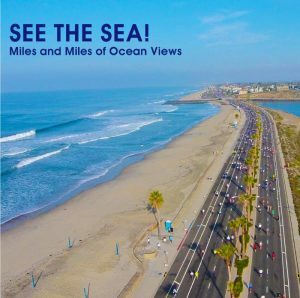 More Ocean Views for Full Marathoners! We’ve created a brand new two-loop course for the full marathon that will keep runners out along our breathtakingly beautiful coastline rather than heading out east on Palomar Airport Road. We know it can get lonely and tough out there and we’re excited about this change being a welcome one! Click here to see our new full marathon course map.